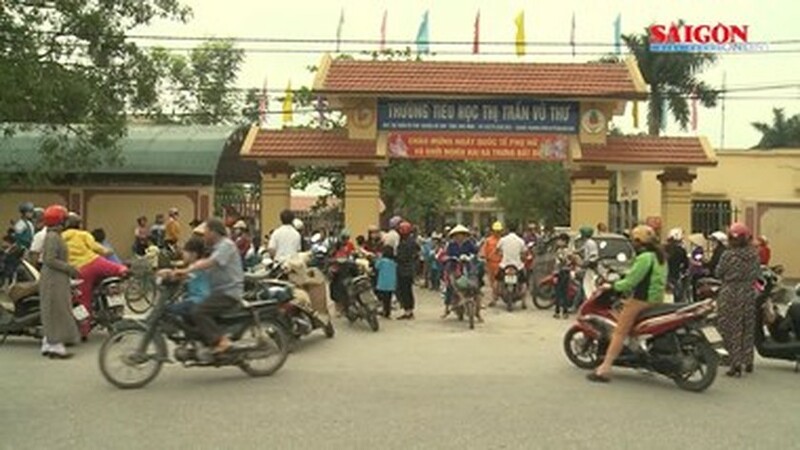 After a death of a fifth grader because of acute encephalitis and seasonal flu, parents of hundreds of primary schoolers in the northern province of Thai Binh have written sick leave applications to class. According to initial investigation, a fifth grader was hospitalized on March 21 with the symptoms of high fever, headache, fatigue, vomiting and speaking uncontrollably. After two-day treatment, he succumbed to the illness. Parents fretted that his children would catch the illness; they therefore wrote leave application to class. Fifty-seven children stayed at home on March 25 and 446 students were kept at home on March 27. Head of the province’s Disease Control Center Dr. Nguyen Van Thom calmed down parents but his efforts were unrewarded. Despite the health sector and school managers increased information of the disease and sterilized the classes, kitchen and the school premise, 186 students were still absent on March 28.